Back in late July, a scathing blog-post appeared on The Invisible Event, "The Lazy Waste of Time That is Classic Locked Room Mysteries (Ed. David Stuart Davies 2016)," in which JJ berated the editor of a recently published anthology of impossible crime stories for the shameful laziness that yawns at you from behind its table of content – as nearly all of the stories were previously published in either The Mammoth Book of Locked Room Mysteries and Impossible Crimes (2000) or The Black Lizard Big Book of Locked Room Mysteries (2014). There were two further entries: one of them a non-impossible crime story (!) plucked from the Sherlock Holmes canon and the other a locked room tale by Davis himself, which he had previously added to the lineup of Vintage Mystery and Detective Stories (2006). So you can understand the disappointment upon discovering that this brand new collection, promisingly entitled Classic Locked Room Mysteries (2016), turned out to be one of the laziest and cheapest anthologies in existence. As a response to JJ, I compiled a blog-post, "The Locked Room Reader IV: The Lazy Anthologist," in which I assumed the role of armchair anthologist and imagined a hypothetical collection of locked room and impossible crime stories – all of them out-of-copyright. I had only read half of the short stories I listed and selected the other half with the help Robert Adey's Locked Room Murders and Other Impossible Crimes (1991), but both columns had one thing in common: they were rarely, if ever, included in any of the well-known locked room anthologies. I compiled the list to demonstrate how easy it was to create a brand new and appealing collection of short stories by simply culling "fresh" material from the public domain, but JJ, with the zeal of a true believer, immediately set out to work and turned the book into reality – which is now available to everyone free-of-charge. The book is called Ye Olde Book of Locked Room Conundrums (2016) and you can download it in various formats here. I'm well aware that you can't review something you had a hand in yourself. Well, obviously, you can do that, but we mockingly refer to that in my country as een slager die zijn eigen vlees keurt (a butcher judging the quality of his own meat). However, the book is only a collection of short stories from the 1800-and early 1900s. So why can't read and talk about the ones I had not read before? Besides, you know I can only be stopped obsessing over impossible crime stories by being beaten in a messy knife fight on top of a speeding train. So I'll be giving the following entries a pass, not because they're bad (far from it), but I had either already read them or even reviewed them, which consists of the following short stories: "Rhampsinitus and the Thief" (c. 440 BC; reviewed here) by Heredotus, "The Suicide of Kiaros" (1887) by L. Frank Baum, "The Story of the Lost Special" (1898) by Sir Arthur Conan Doyle, "The Mystery of the Circular Chamber" (1898) by L.T. Meade and Robert Eustace, "The Mystery of the Flaming Phantom" (1907; reviewed here) by Jacques Futrelle and "Flashlight" (1918; reviewed here) by Laurance Clarke. Anne and Annabella Plumptre's "The Spectre of Presburg: A Hungarian Tale" is a 198-year-old novella from Tales of Wonder (1818) and an early incarnation of both the locked room mystery and the more widely defined stories of impossible crimes – as the plot concerns a ghostly apparition vanishing from a room under observation. The story is set during the first half of the eighteenth century and "the troubles which agitated the continent of Europe on the death of Charles the Sixth," which "afforded ample matter for the pen of the historian to expatiate upon." One of these events happened in the small town of Presburg. A large number of troops were assembled in the town, who occupied nearly every public house, but the backdrop of this story is one particular inn where the soldiers had turned the largest space into a mess-room – passing their evenings round a crackling fire, drinking and discussing "that awful histories of specters." So one evening, after the stroke of twelve, the door of the mess-room opened and an officer in an Austrian uniform entered. Someone recognized him as Count Molziewitz, but the solemn figure walked silently across the room, head down, entering a second room and "was seen no more." They later learn that the Count was killed in battle prior to his ghost being seen at the inn and he makes a second appearance only a week later. However, the ghost of Count Molziewitz is not the only entity roaming the demon-haunted region of Presburg: a figure of a giant man has been seen wandering along the misty mountain passes a stone's throw away from the town. The explanations for these supernatural phenomena are fairly straightforward and almost what you'd expect from a story this old, but certain aspects of the plot foreshadows the locked room mysteries that would appear over the next one-hundred years. I assume this story was too obscure to have had any serious influence over the development of the genre, but, when framed as a detective story, it was somewhat ahead of its time. But to do this story justice, it should be read as a ghost story with a logical and natural conclusion. 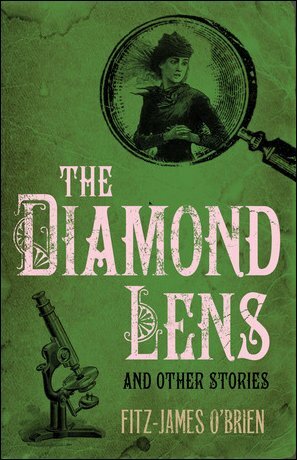 Fitz-James O'Brien's "The Diamond Lens" originally appeared in an 1858 issue of The Atlantic Monthly and collected in The Diamond Lens and Other Stories (1887), but the story is a bit of an odd duck in this collection. 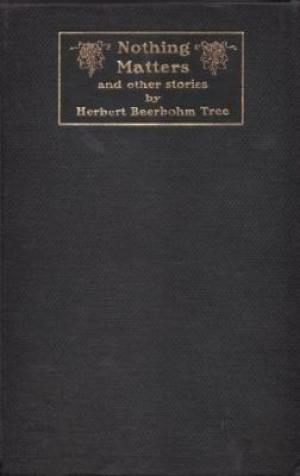 The story basically consists of three components: the first part is a prologue in which the narrator, a Mr. Linley, tells about his childhood fascination with microscopes and how it allowed him to look pass "the dull veil of ordinary existence" – which became an all-consuming obsession during his adult life. In the second part, Linley consults a medium, Mrs. Vulpes, who brings him into contact with the spirit of my compatriot and the Father of Microbiology, Anthonie van Leeuwenhoek. The spirit tells him to create a lens from "a diamond of one hundred and forty carats" and expose it to electro-magnetic currents, which would rearrange its atoms and form a stone that's, essentially, a universal lens. But to get his hands on such a precious stone, Linley has to bloody them first and engineers the "suicide" of the owner of such a diamond. Of course, the body was left in a room that appeared to have been locked from the inside. Finally, the last part of the story tells of the wondrous world Linley discovered with the titular lens and this portion can be described as one of those scientific romances from the era of Jules Verne. A very strange story, but a well-written one that tells an intriguing story. Two observations about the locked room situation: how could the servant "peeped through the keyhole" and saw the body when only few paragraphs before it was mentioned that the key was inside the lock? Secondly, the whole murder plot bears a striking resemblance to the one on from L. Frank Baum's "The Suicide of Kiaros," but Baum (IMHO) delivered the better locked room mystery. Victorien Sardou's "The Black Pearl" came from the pages of Three Romances (1888) and I was pleasantly surprised to discover that the story takes place in the Netherlands. The story is set during a period when the Province of Flevoland was still below the troubled waters of an inland sea, De Zuiderzee, which blew a cold, harsh wind across the landscape and canals of North-Holland – accompanied by heavy rain and thunder. And it's in this hondenweer (bad weather), that the two principle characters are introduced: Balthazar van der Lys and Cornelius Pump. A couple of friends who happened to bump into each other, but the former drags the latter back to his home where they exchanged some good news about their personal lives. Both men have the intention of getting married, but the celebratory mood sours when Balthazar discovers that his study has been ransacked. The window was closed and the study was fitted with a massive door, "which was provided with an old-fashioned brass lock," a type that's only used "in the Netherlands at present time," but this did not prevent a thief from taking all of the ducats, florins and jewels – without leaving a trace behind. The police suspects Pump's fiancée, Christina, but he comes up with an entirely different explanation for the miraculous theft. As Adey observed, the explanation is inventive enough, but hardly a credible one. H. Greenbough Smith's "The Case of Roger Carboyne" was published in the September 1892 edition of The Strand Magazine and is one of the shorter stories from this collection, which takes place during an inquest on the body of Roger Carboyne in North Wales. Carboyne was spending his Easter holiday on a riding tour when, one day, his friend heard a scream, "uttered as if in extremity of agony or terror," but he had completely vanished – only leaving behind evidence of a struggle in the snow. However, there were no footprints in the snow. A similar problem arises when his body is found on a plateau and "the snow was absolutely undisturbed." A last-minute witness, who acts as a deus ex machina, gives the explanation but you can probably work out what happened from the given evidence. A fairly simple, but fun, short story. Tom Gallon's "The Mystery of the Locked Room" was lifted from the June 3, 1905 issue of The Pictorial Magazine and prompted the following post by JJ, "Some Reflections on Editing," which kind of spoiled the story for me, because I had to see the illustration from its publication in the Chicago Daily Tribune – which did a thoroughly good job at giving the whole game away. The problem concerns the theft of a diamond necklace from a locked hotel room and the only clues were the peculiar behavior of the burglar: a cardboard box of chocolates had been half emptied and a jewel box that was not even locked was left untouched. Even if you've seen the illustration, you might instinctively guess the correct solution, because in 1905 this trick was already old hat and the person behind the theft was rather obvious. So it's a rather unchallenging mystery owning some debt to a pair of rather famous short stories by Edgar Allan Poe and Conan Doyle, but not an unpleasant one to read. Rafael Sabatini made his name as an author of romance and adventure novels, such as The Sea Hawk (1915) and Scaramouche (1921), which is reflected in one of his short stories, "Plague of Ghosts," originally published in a 1907 issue of The Storyteller and has a reformed criminal, Capoulade, as its protagonist – who is send on a mission to Château de la Blanchette. A mission involving an infestation of ghosts and a ring of counterfeiters. The impossible situation presented in this story is interesting and shows some imagination: out of a luminous cloud emerged in an immensely tall figure, "swathed in a winding sheet," surmounted by "a hideously grinning skull" with "eyeballs of glowing fire." A character takes a shot at the ghost with a brace of horse-pistols, but the ghost responded with a burst of laughter and a skeleton hand dropped the two bullets on the ground. Sabatine gave a logical explanation for the phantom's bullet-catch trick, but now how the ghostly effects were accomplished. Jacques Futrelle's "The Mystery of the Flaming Phantom," published around the same time, handled a similar plot and impossibility with far more skill and ingenuity. That being said, I loved the moment when the ghost laughed and dropped the bullets. M. McDonnell Bodkin's "The Unseen Hand" comes from The Quests of Paul Beck (1908) and can be categorized as a railway mystery, in which a ticket collector stumbles across the body of the sole occupant of a carriage – a violent blow had "cracked the skull like an egg-shell." Mr. Paul Beck is summoned to take complete control of the case and constructs a particular ingenious, but very risky, method from such clues as the foul smell of asafetida, the strength of the blow and a missing item from the victim’s home. As I said, the trick is very risky and probably impossible to pull off on the first attempt, but Bodkin obviously gave the idea some thought. Half a year ago, I reviewed another short story by Bodkin, "The Murder on the Golf Links," which was collected by Martin Edwards in Resorting to Murder: Holiday Mysteries (2015). A. Demain Grange's "The Round Room Horror" is an obscure tale from a long-defunct publication, Everybody's Story Magazine, which published this particular story in March 1911. JJ dedicated an entire blog-post to the work he had done on tracking down and editing this particular story, which is well-worth a read in itself and the work was more than worth it – because this long-forgotten sealed room mystery is an interesting item for the period. The 1910s was not a decade known for its impossible crime fiction. The round chamber of the story-title is a fortified tower room in Tor Hall, "a roomy, Jacobean mansion" situated "in one of the loneliest spots in England," which became the home of John Morden. 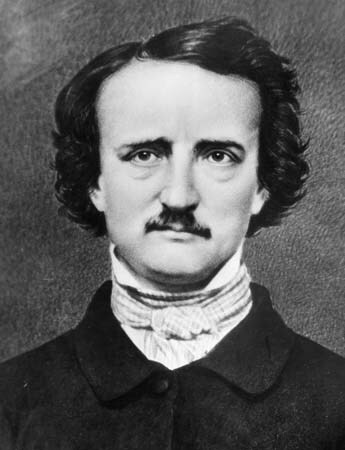 A older man in his late sixties and reputedly possesses a great wealth, but his character had several marked peculiarities and one of them was "a morbid dread to be assassinated in his sleep." So he picked as his bedroom the impenetrable and windowless tower room, "used in former times as a muniment-room," but the heavy iron door proved insufficient to guarantee his safety. However, it took an entire party of workmen and several hours to remove "the ponderous mass of metal." What they found inside the round tower room was the body of its owner, lying in his bed, with a deep, bloody wound in his forehead. A wound that was inflicted by a long, sharp instrument that was triangular in shape. It appears to be an insoluble problem and this attracts the attention of Montague Steele, who has some "brilliant achievements in the detection of crime," but even he struggled at first with the problem of the sealed nature of the room. Eventually, Steele reconstructs the complex and involved method of the murderer, based on the dimensions of the room and the murder weapon, which showed the genre as a whole was definitely moving away from the clichés of the previous century – which consisted of hidden passages, murderous animals and unknown poisons. On the other hand, we have the murderer's identity... I mean... really, Grange? You picked that character to be the killer of this noteworthy locked room story from the early parts of the previous century? Well, you can’t have everything, I suppose. 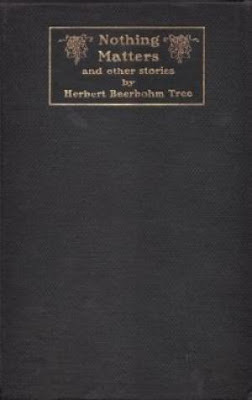 Finally, the end of this overlong review comes on a lighter note with Herbert Beerbohm Tree's "The Mystery of Howard Romaine," from Nothing Matters and Other Stories (1917), which is the literary companion to MacKinlay Kantor's humorous "The Strange Case of Steinkelwintz" – collected in It's About Crime (1960). A large, heavy object disappears under seemingly impossible circumstances in both short stories: Kantor made a baby grand piano vanish from an upstairs room, while Tree pulled off a similar trick with a pine-wood coffin containing the body of a washed-up actor who had previously committed suicide. The presentations of both impossibilities and the slightly sardonic sense of humor were very similar, but the given explanations and respective resolutions were very different. Regardless, the professional anthologist should keep these two short stories in mind for any future locked room anthology, because they ought to be published as companion pieces. So, far another one of my seemingly never-ending blog-posts about a handful of short stories. I can never keep this kind of reviews very short, but I hope you found my commentary fair and keep in mind there are six additional tales in Ye Olde Book of Locked Room Conundrums. I can particular recommend the ones written by Baum, Doyle and Meade. Well, I'll try to keep it short for my next review. Whatever it may be. "Yes, yes, murder is never very pleasant, is it?" Over the past fifteen years, a whole flock of once obscure and long-forgotten mystery writers found their way back into print, which introduced a score of names to my list of favorite crime-fiction authors – such as Clyde B. Clason, Stuart Palmer and Kelley Roos. A recent addition to that list is E.R. Punshon. 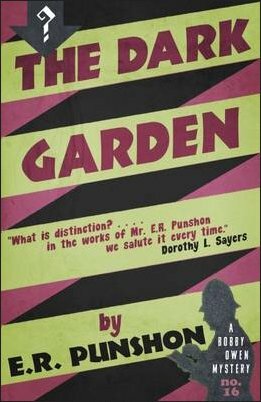 Punshon has nearly fifty novels to his name and thirty-five of them are detective novels about his series character, Bobby Owen, who walked on the scene as a young police constable (Information Received, 1933) and retired as a Commander of Scotland Yard (Six Were Present, 1956). However, one should not assume Punshon was merely an early pioneer of our modern-day police procedural. Punshon had a fertile imagination and possessed the ornamental writing-style of the early twentieth century, which some condemned as wasted verbiage, but I love how he was able to bring a room to life by pointing out a candlelit duel had once been fought in it – c.f. Ten Star Clues (1941). I can appreciate a well conceived sense of time and place as much as a clever and solidly constructed plot, which is another one of Punshon's talent as a mystery novelist. Punshon justly received praise for his labyrinthine-like plots and ability to manipulate multiple plot-threads, like a practiced puppeteer, without his yarns becoming a tangled mess. A veritable artisan of webwork plotting! So this resulted in over thirty well written, atmospheric and often excellently plotted detective novels that helped "kindly Mr. Punshon," as Anthony Gilbert called him, secure a spot on my list of favorite mystery novelists. A lot of these talents are reflected in the subject of this blog-post. The story begins with a visit to the office of Bobby Owen by a local farmer, Mr. Osman Ford, who is a grim, dour man with angry eyes and a dark expression. Ford has enthusiastic plans to expand his farm, called Roman Ends, but these plans require funds and there's a sum of five-thousand pounds available, but the money belongs to his wife – which is held in trust on her behalf by a solicitors firm. Mr. Nathaniel Anderson is one of the senior partners in the firm and refuses to discuss the matter with Ford, because the money belongs to his wife, which angered the short-tempered farmer and he's convinced the money has been embezzled. However, Owen advices him to consult a lawyer, but this only angered Ford even more. Not long after this confrontation, Owen hears that Ford has been airing threats against the lawyer and this is potentially a problem, because there have been persisted rumors that Ford has killed before – a young rival to his wife affection was found dead in an icy canal. Officially, there was "not an atom of proof" for murder and the affair was dismissed as an unfortunate accident, but there was still "lots of talk and gossip." So Owen decided to give an unofficial warning to the farmer and determined to visit Anderson for further information, but what he finds there resembles a psychiatrist’s waiting room rather than a solicitor's office. Everyone who works there seems to be either obsessed or suffer from some sort of neurosis. Anderson lives separate from his estranged wife, but has a relationship with one of the office secretaries, Miss Anne Earle, who was a foundling and only recently she was contacted by a long-lost aunt, Mrs. Augusta Jordan. However, Miss Earle's background as an orphan left their marks on her character and these markings drive most of her actions. She also has a much younger admirer among the office employees: a fair-haired, long-legged youth named Billy Dwight. The young man probably saw his employer as an elderly seducer and probably was the person who seen fleeing from Miss Earle's cottage (after being shot at). Arthur Castles is an office clerk, but also the son and grandson of the founders of the office, which the family lost after financial problem and Anderson made sure the boy got an education and a position in the office – which resulted in conflicted feelings within him. On the one hand, Castles is grateful for the opportunities given to him by Anderson, but he always wondered what part he played in the downfall of his father. Finally, there's the second senior partner, George Blythe, who shuns woman and is very passionate about his charity work for Hopewell House, which provides a home for homeless boys who might otherwise have drifted into mischief. So there you have a glimpse of the intricate web of character-relationships and potential motives, which Owen have to give serious consideration after Anderson goes missing and turns up again halfway through the book – floating in a canal with a bullet hole in his back! At one point, Owen visits the sickbed of Colonel Glynne to give his report and remarks that whole case "seems to have its roots in the past," because his investigation is littered with references to past happenings: a baby left on a doorstep a quarter of a century ago and bankruptcy from the same period. A wife leaving her husband several years ago. A drowning of a young man who would have been middle-aged today, etc. But there are also several tangible clues: such as an expensive, fur-lined glove that was dumped in the canal and the sum of five-thousand pounds that turns up in several accounts. All of this can be read as a slow, meticulous crescendo that builds towards a memorable chase scene in the titular garden, in which someone takes shots at Owen with a gun that has a silencer. So he only hears soft pops as bullets whiz past his head. Evidently, Punshon also knew how to write suspense and this becomes even more apparent with the final dénouement over a freshly dug grave. Arguably one of the greatest denouncements of a murderer in all of detective-fiction. A fantastic and atmospheric scene that's only marred by the murderer's identity, which was a bit obvious and anti-climactic, but very forgivable in this instance – since I found the story as whole very good, interesting and somewhat unusual. It's another example that Golden Age mysteries were not primarily about restoring order. Sure, the case can be shelved as solved, but the final tally is as dark as it depressing. There really are no winners in this book. 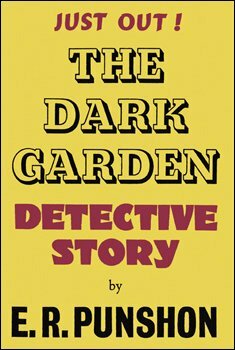 So The Dark Garden is not as great as some of Punshon's best work, such as Death Comes to Cambers (1935), Diabolic Candelabra (1942) and There's a Reason for Everything (1945), but still an excellent showcase of his talents as a mystery novelist. 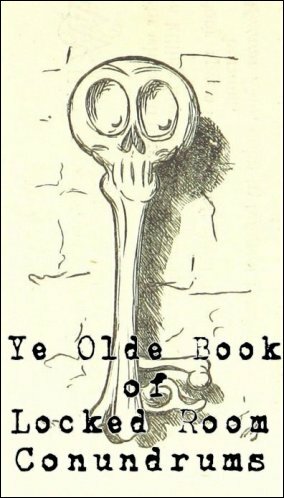 On a final, unrelated note: JJ published the short story collection, Ye Olde Book of Locked Room Conundrums (2016), I conceptualized in this blog-post and the book is a free-of-charge. My next blog-post will (most likely) be about this locked room collection. So... why are you still here? Why aren't you downloading and reading all of those free locked room stories? Go! Shoo-shoo! "But suppose a whole street disappeared, a whole thoroughfare blotted from London. What could be more fantastic?" 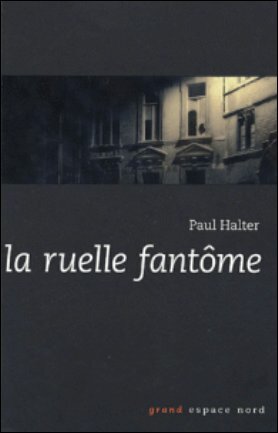 Paul Halter's La ruelle fantôme (The Phantom Passage, 2005) is his tenth novel to be carried across the language barrier by John Pugmire, founder of Locked Room International, which is the fourth entry in the Frenchman's series about Owen Burns and Achilles Stock – both of whom previously appeared in Le roi du désordre (The Lord of Misrule, 1996) and Les sept merveilles du crime (The Seven Wonders of Crime, 1997). They also appeared in a couple of short stories, "The Flower Girl" and "The Cleaver," collected in La nuit du loup (Night of the Wolf, 2000). Owen Burns is reportedly modeled on Oscar Wilde, "a dandy aesthete who appreciates murder as a fine art," but the opening chapter of The Phantom Passage finds Burns as bored as Sherlock Holmes in the first pages of "The Adventure of the Bruce-Partington Plans" (His Last Bow: Some Reminiscences of Sherlock Holmes, 1917). Burns condemns the city of London as a town "born out of boredom and desolation" and a place where all "the phantoms of the planet" come to retire. However, his friend and personal chronicler, Achilles Stock, remembered him stating the exact opposite and something was actually happening on the fog-bound streets of Edwardian-era London: a convicted murderer, Jack Radcliffe, escaped from prison and the police is out in full force – most of their activity taking place practically underneath their windowsill. But the problems that are about to be visited upon them are only slightly connected to the manhunt for the escaped convict. Ralph Tierney is an American diplomat and an old acquaintance of Burns, whom he met during his stay at the University of Chicago, but the Tierney had the rotten luck to bear a striking resemblance to Radcliffe. As a result, he has been hounded by the police through "a labyrinth of dark alleys and passageways," but what he witnessed in one of these streets made him decide to fetch the help of his old friend. When Tierney wandered into a dark, obscure passageway, called Kraken Street, a madman wearing a large coat and a battered top hat approached him. The man guided Tierney pass the bend of the street, to a hovel, where two equally peculiar characters were sitting on the porch: a woman in red, "Vivian the fairy," and a blind fruit seller, but since he was completely worn and tired he accepted the offer of a room and bed – which is where he found "a strange room" with a view. Tierney saw a peculiar light in the window, but what he saw through it was even stranger: a violent scene from what appeared to be the past. Something that appears to have taken place decades ago. So after the vision began to blur and merge with the blackness of the night, Tierney did what most people would've done in his place: he turned around and left cartoon smoke. However, when he was just outside of the passage he wanted to light a cigarette, but discovered he probably lost his lighter at the hovel, but Kraken Street had disappeared! The passageway from which he had just emerged was now "a high brick wall without any openings." As if "the shadows had swallowed it." They soon uncover Tierney was not the first person to wander into the passage and witnessed its visionary power in the upstairs room, which even caught the attention of both the newspaper and the police. One newspaper reporter described the phantom passage as "a monstrous serpent" coiled "between houses and only appearing when it was in search of a victim." This is a nice piece of Carrian imagery on Halter's part and the plot-thread that concerns this haunted passage represents the strongest part of the plot, because Halter provided an explanation that did not traverse the expected route for this kind of impossibility. As we know from such large-scale impossible crime stories as Ellery Queen's "The Lamp of God," collected in The New Adventures of Ellery Queen (1940), and Edmund Crispin's The Moving Toyshop (1945) there's a definite limit to the variety of explanations one can propose to the explain the miraculously disappearance of a large, stationary house – which is why so few mystery writers tried their hands at it. And probably why there are less than a handful about entire streets being blotted from existence. So Halter should be commended for not only venturing out in this infrequently traversed side street of the impossible crime story, but also for dreaming up a clever and satisfying explanation that was very different from the other solutions I've seen for disappearing houses and streets. Halter's explanation also made me feel slightly embarrassed over my initial suspicion of the brick wall. I suspected the alley might have been privately owned property (used for nefarious activities) and the entrance had a drawbridge-like "door," which looked like a blind wall when raised and resembled pavement when lowered. It sounds idiotic, I know, but how many ways can you think of to remove an entire street from the map? Luckily, Halter found a different method to accomplish this feat. Anyway, there are several murders, suicides and disappearances connected to the phantom passage, which were often brought to light or predicted by the lighted window of the dingy hovel. I appreciated what Halter tried to do with these plot-threads and they did make for some pleasing patterns in the overarching plot, but this aspect of the book was marred by the slender clueing – making it very difficult to arrive at exactly the same conclusion as Burns. I can look pass that in this instance, because Halter already gave the reader a wondrous and original impossible situation. However, I was not so charmed about the explanation for visions from the past and future. I guess it was to be expected, but I think Halter went a bit far when suggesting that some of the effects could be achieved with cigar smoke. So, no, I was not impressed with this part of the plot and Jacques Futrelle's "The Problem of the Crystal Gazer," from Best Thinking Machine Detective Stories (1973), is a better example of this kind of impossibility – as far-fetched as the story may be. 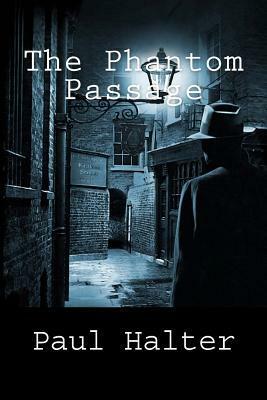 So these three aspects of The Phantom Passage demonstrate why so many of us have a love-hate relationship with Halter, but, overall, I enjoyed this one. If only for the wonderful and excellent treatment of the vanishing street. On a side note, I want to point out there's one aspect of the solution that was anticipated in a series of episode from Tantei Gakuen Q (Detective Academy Q), namely The Kamikakushi Village Murders, which begins with a prologue (ep. 16) and takes up the next five episode. I won't say what it is, but you should recognize a very interesting idea that was used for something completely different in those episodes. Finally, you might want to take a peek at my previous blog-post, which is a review of an episode from Blacke's Magic and also deals with the problem of a vanishing street. So that's all for now. My next review or blog-post will probably not be that of a locked room mystery, but no promises there. "Hm! Yes. Ruination Street. No, I don't believe I shall find it in my maps..."
In one of my recent blog-posts, I alluded to my intention to start looking at the locked room mysteries of both the silver and small screen. I found an enticing case in the comment-section in favor of Banacek, but I had an episode from another series, namely Blacke's Magic, queued since 2013 – when I reviewed Ten Tons of Trouble (1986). A very ambitiously written, if flawed, episode about the miraculous disappearance of an enormous marble statue from a closely guarded museum. 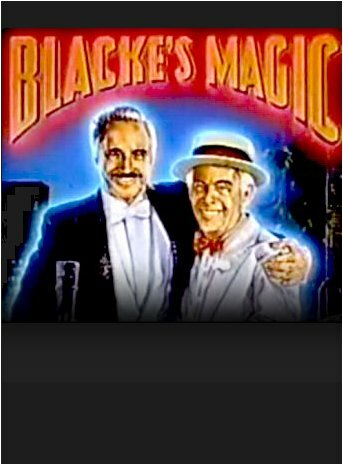 This short-lived NBC series ran for only one season, comprising of a pilot and twelve 45-minute episodes, which starred Hal Linden as a famous stage magician, Alexander Blacke, who moonlights as an amateur sleuth. He was basically a 1980s prototype of Jonathan Creek. Harry Morgan played the Maddy Magellan to Blacke's Creek, which he did in the role of his father and as a semi-retired con artist of the old school. So they can be added to the short list of father-and-son detective teams I mentioned in my review of Clifford Orr's The Dartmouth Murders (1929). The episode I had queued is the seventh entry in the series, entitled Address Unknown (1986), which has a plot revolving around one of the most alluring and rarest of all impossible problems: an entire street and a alleyway that inexplicably disappears from our plain of existence! From the top of my head, I know of only two examples of vanishing streets and added one of them only recently to my TBR-pile. So there you have another reason for my renewed interest in the episode. During the first 15-minutes, the groundwork for the plot is laid down and concerns a potential government scandal, one with ties to the army, which runs straight to the high-placed and distinguished General Wersching – who has no compunction to (covertly) threaten Blacke when he comes to the aide of an old friend. Dale Richmond is the friend in question and hot on the trail of a corruption scandal, which he hopes to substantiate with certain documents and letters. He expects these documents from one Billy Maddox. The episode actually opens with a surreptitiously meeting between these two characters, inside a dark parking garage, but Maddox needs another day to get his hands on the incriminating papers. However, the details about this particular plot-thread is somewhat muddled, but the first ten minutes show the brewing scandal plays havoc with Dale's personal and professional life – as his character is slandered in the media as mentally unstable. They also planted a federal marshal across the street of his home. So Dale is understandably on edge, but a telephone call from Maddox lightened his mood. This is followed by a short sequence (i.e. filler) which sees Blacke using the misdirection of the stage magic to help Dale escape the attentive eye of the marshal on his doorstep. Dale is lead to a dark, empty street, called Republic Lane, where Maddox waves him towards a dark alleyway and into an abandoned storehouse, but before any papers can change hands a shot is fired and Dale has to run for his life – until he sees two cops in a coffee joint called The Donut Hole (of course!). But here's where the whole situation becomes an impossible one. 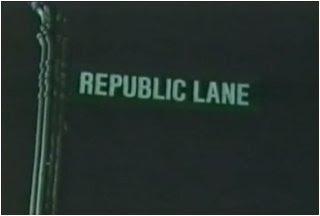 The police officers have never heard of Republic Lane and Dale is unable to retrace his steps. Eventually, they managed to find his car, but the street where the car is parked is not the same as the street where he left it. As Dale said himself, "the whole damn street is gone." So who killed Billy Maddox and what happened to his body, but, equally important, how did an entire street disappeared into the dark of the night? Simply wiped off the face of the earth! The answer is very simplistic and something to be expected from cheap 1980s television, but I managed to miss the obvious. My explanation was far too complex and involved for this kind of television. I assumed Republic Lane was one of those realistic "stage sets" used for military exercises, which was put together and taken apart by a platoon of soldiers. After all, the scandal was connected to a high-ranking general and the shooting scene was very reminiscent of the witnessed shooting from Carter Dickson's "The New Invisible Man," collected in The Department of Queer Complaints (1940), which also involved a vanishing room. So I assumed the general had called upon a few of his man to put a mere civilian in his place. Well, I was very wrong. The rest of the episode is either cluttered or not very engaging: the plot-threads about the shooting and scandal are merely ornamental, which seem to have been written around the problem of the vanishings street and meant to eat up those minutes – until Blacke can work his magic and explain how the trick was pulled off. Same can be said about the "comedic" sub-plot: Blacke's father, Leonard, enters the picture and is followed by a string of bills pertaining to their New York apartment. But the source of those costs is not revealed until the final scene, which ended the episode on a light note. Not overly hilarious, but Leonard is a fun and loveable crook. His best scene from the episode was reminiscing how he once made a banking company disappear after taking a large deposit from a bootlegger in the 1930s. I should also note that Blacke performed the famous bullet-catch trick when he cornered the murderer and this person attempted to shoot a way to freedom. So, as a mystery, Address Unknown is a fairly weak and messily told detective story, which perhaps showed why the series got canned, but, regardless, I did not experience watching it as a drag. I guess the vanishing street gimmick playing out in front of me, which was the one part of the episode that was reasonably well done, intrigued me and I had fun imagining my own explanation. You've to decide for yourself whether you want to give this one a go. 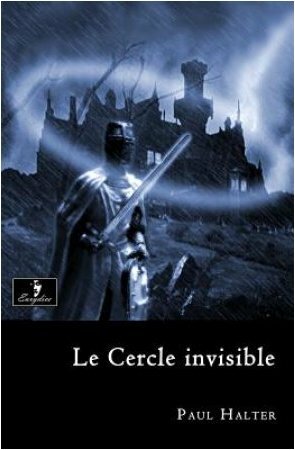 Finally, allow me to draw your attention to my previous blog-post from yesterday, which is a review of Paul Halter's Le cercle invisible (The Invisible Circle, 1996). "Whoso Pulleth Out This Sword of This Stone and Anvil, is Rightwise King Born of All England." Le cercle invisible (The Invisible Circle, 1996) is Paul Halter's eighth detective novel to be translated into English by John Pugmire, a modern-day purveyor of miracles, whose independent publishing house, Locked Room International, introduced a host of non-English speaking authors to a world-wide audience – such as Jean-Paul Török, Yukito Ayatsuji, Noel Vindry and Alice Arisugawa. Pugmire also reissued the shamefully neglected locked room novels by Derek Smith (e.g. Whistle Up the Devil, 1954), but I'll return to this author sooner rather than later. So, for now, let's take a look at one of Halter's most fanciful impossible crime tales. 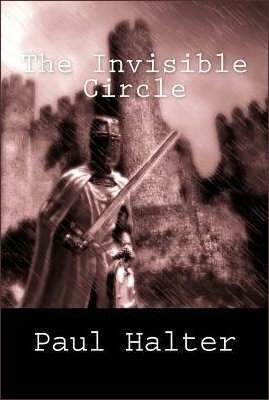 The Invisible Circle is a short, standalone mystery novel that's best described as a clash between the Legends of the Knights of the Round Table and Agatha Christie's And Then There Were None (1939), which made for a fun and amusing detective romp. The story takes place eight decades ago, in the year 1936, inside "a sort of castle by the sea in Cornwall." A wooden bridge is the only structure tenuously connecting the castle to the mainland and without this reach-across the place is effectively an isolated island. So you can probably make an educated guess about the fate of the bridge. Gerry Pearson is the sole occupant and owner of the castle, rumored to have belonged to Uther Pendragon, "Arthur's father," which he decided to put to good use as the backdrop for "a grotesque comedy" steeped in Arthurian legends – a real-life drama staged for a small group of people. One of Pearson's specially selected guests is his niece, Madge, who wisely decided to take along her friend, Bill Page, but they're not the only ones who received an invitation from wicked Uncle Gerry. The guest list Pearson compiled consists of the following characters: a white-bearded historian, named Josiah Hallahan, who's "the acknowledged expert on all things Arthurian" and this earned him the nickname of Merlin the Enchanter. Gail Blake is a Cornish bard and with his black beard "he looked more like a pirate or a smuggler than a poet." So they make for a nice pair of characters, but there are also Frank Dunbar and Ursula Brown: the former is a disillusioned and heavy drinking journalist whose downward slope began when the moment he had met the latter. They're both invited to the party! Finally, Pearson requested the presence of Dr. Charles Jerrold, an imminent psychiatrist, who was asked to attend as "a trustworthy witness." Upon their arrival, Pearson casts each of them in the role of an Arthurian character and explains they were invited to be "privileged witnesses." The privilege to witness a murder. His own murder. Pearson says he knows who will strike him down and "this person will have constructed a perfect alibi," which proves this person "could not physically have committed the murder" and even pointed out his potential murderer – as well as showing everyone the instrument of his destruction. On a rocky cliff, a sword is embedded in a huge rock. Originally, the rock had been hollow, but has now been filled with mortar that irretrievably trapped the blade. It seems completely impossible for anyone, except the ghost of King Arthur, to pull the sword from the stone, but Pearson instructs everyone to make a unique mark on the grip of the weapon – so "it can be formally identified." That sets the stage for one part of the murderous melodrama that's about the unfold and the next step is voluntary locking their host inside a tower room: one with a door that can be bolted from the inside and is sealed from the outside with sealing wax, which they're instructed to mark with a personal object like a signet ring or a pendant. 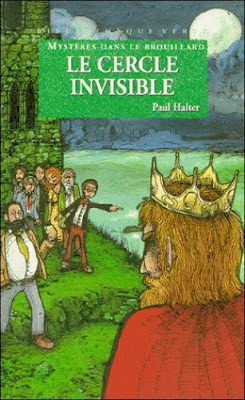 The room appears to be simply impenetrable, but a cry pierces the silence of the castle that same evening and when they finally manage to break down the door they find the body of their host: the famous sword of King Arthur planted between his shoulder blades. So there are two intriguing, closely connected and seemingly impossible situations: one of them is the retrieval of the sword from the stone and the other is the locked room murder of Pearson. I first have to comment on the sword in the stone. I know of only one other impossible crime novel that toyed with a similar problem: The Stingaree Murders (1932) by W. Shepard Pleasants. The book takes place aboard a luxurious houseboat, floating across the Louisiana marsh country, which becomes the scene of no less than three seemingly impossible situations. Firstly, there's a stabbing on a skiff without anyone being near the victim, but the unusual knife is considered to be an important piece of evidence and is safely driven into the hardwood deck of the boat – sinking it as tightly into the woodwork as the sword in the stone. Only an axe could've relieved the knife from the deck, but the second impossibility from that book is how someone, effortlessly, plucked the knife out of the wood. As similar as both problems appear, Halter and Pleasants both imagined completely different explanations as to how these feats were pulled off. I rather enjoyed Halter's trickery here, which I foresaw, because (somehow) a childhood memory of The Pirates of Dark Water came bubbling to the surface. One of the iconic weapons from that show made me see how the trick could be accomplished. Anyway, I found the whole sword in the stone aspect of the overall locked room trick to be fairly clever and original. However, the locked room trick that explains the murder of Pearson, while equally clever and novel, is bugged by some noticeable problems and legitimate objections: one of them is the requirement of a pretty dense accomplice. I won't give away any spoilers, but this is a problem I also recently found in John Dickson Carr's The Ghosts' High Noon (1969). The second objection is the murderer's movements and maneuvering, which not only seems very difficult, but a near physical impossibility and can be counted as one of those physically tasking schemes that makes murder look like an Olympic sport – e.g. Agatha Christie's Towards Zero (1944), John Russell Fearn's The Crimson Rambler (1946) and Norman Berrow's The Footprints of Satan (1950). So the locked room murder might not quite convince every single reader. Luckily, Halter did not sink all of his creative juices for this novel into the impossible situation, but also tried to write a Christie-style whodunit with a least-likely-suspect revelation towards the end – which is preceded by a story stuffed with false identities, hints of madness, family secrets and several additional murders. Nearly every part of the plot seemed to have been properly clued or foreshadowed. Halter also seemed to have tried his best to provide an answer for some of the weaknesses of the plot and one of them remained rather obvious: one that involves the past relationships of certain characters. A flaw the book shares with Christie's Murder in Mesopotamia (1936). So, while the plot from The Invisible Circle is far from watertight and the flat characterization did not lend itself to describe the mountain terror and breakdown of civilization, which one has come to expect from such island-bound crime novels as Anthony Berkeley's Panic Party (1934) and Herbert Brean's The Clock Strikes Thirteen (1954), I still found it an immensely enjoyable detective story. Halter delivered the kind of locked room mystery I expected from Richard Forrest's Death at King Arthur's Court (2005), but that one never fully delivered on its premise. The Invisible Circle is as imperfect as Forrest's mystery novel, but it gave you everything it promised. Not always with the same grace and ingenuity as a top-drawer Carr or Christie, but Halter delivered on the promise of a locked room novel deeply steeped in Arthurian mythology with a dash of the Queen of Crime. So I was left far from dissatisfied.